ASTWOOD Bank saw their five-match Birmingham League Division Three unbeaten run brought to an end as Streetly secured a four-wicket victory on Saturday. The defeat dropped Bank down to eighth in what is an incredibly congested table, with Steve Adshead’s side only 21 points behind leaders Lichfield. Bank won the toss and chose to bat but things did not go to plan as they slid to 70-4 despite 36 from Adshead (36). However, Sam Thomas made 88 off 115 balls and Tom Harris 47 off 43 including a partnership of 108 to get the hosts back on track with a total of 242-9 off their 55 overs. Bank then reduced Streetly to 49-2 but all of the visiting batsmen continued to make contributions and, at 184-3, the game looked up for the hosts. Andrzej Jagielski’s (2-52) dismissal of Imran Qadir for 67 then sparked a wobble to 201-6 but, despite two wickets for Dan Taylor, the visitors reached their target in the 52nd over thanks chiefly to an unbeaten 52 from Akbar Ahmed. Fourth placed Brewood – 11 points above Bank – are the visitors to Sambourne Lane on Saturday. COOKHILL defeated fellow high-flyers Cutnall Green by 51 runs and leapfrogged the latter into Worcestershire League Division Six top spot. Cookhill skipper Liam Donohoe lost the toss but the visitors were surprisingly asked to bat and Daniel Mills (20), Roger Smith (16) and Richard Biddle (22) all got starts before being dismissed. At 80-4 off 13 overs, the game was delicately poised, but then came the key partnership of the match between Stuart Griffiths and Kenny Hirst. Both batsmen managed to force the field to be spread and picked up regular singles alongside the now expected boundaries. Hirst (43) fell before the 30-over drinks break, caught at deep long off for another jug-avoiding score, but Griffiths (54no) reached a deserved half century before retiring hurt, feeling the effects of the heat and too many quick singles. Andy Fennell (20) then added valuable late runs to help the visitors to 227-7 off their 45 overs. Griffiths had recuperated enough to take the gloves but opening bowlers Donohoe and Simon Edmunds were unable to make an initial breakthrough. Neil Shuttleworth (3-34) was in no mood to be denied though, bowling Derek Higgins which brought the dangerous Jake Payne to the crease. Payne looked dangerous in reaching 16 before slicing the ball to wide mid-on where Luke Morris took a spectacular diving catch off Shuttleworth’s bowling. Donohoe continued to rotate his bowlers and Fennell (1-34) and Edmunds (1-36) claimed a wicket apiece, but it was Smith (4-38) from the Hill End who was the pick of the bowlers and will resume his next match on a hat-trick. Cutnall Green were all out in the 44th over for 176, leaving Cookhill with a seven-point lead heading into Saturday’s visit of Stone. ALCESTER & RAGLEY remain sixth in the Cotswold Hills League Premier Division after Saturday’s 59-run defeat to visitors Shipston. Unsurprisingly, the hosts were asked to bowl after losing the toss, but were given an unexpected boost when Dave Pilkington’s direct hit produced an early run out. However, the visiting batsmen dug in and, at 185-4 with ten overs left, a big score looked on the cards. The home bowlers had other ideas though and, aided by three catches from Paul Cooke, Shipston were dismissed for 220 in the 44th over. Oli Swinburn (3-29) took the final three wickets in as many overs, Tom Wright claimed 2-13 and Cooke 2-51. 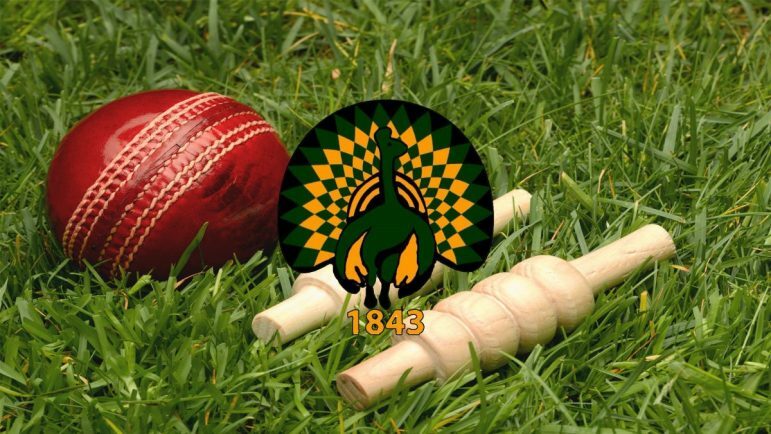 Ragley played with a positive attitude in reply but their eagerness to score runs proved their downfall as they lost four wickets with just 29 on the board. When opener Dave Turner was dismissed for 24, the hosts were 56-6 off 12 overs and had a mountain to climb. At this stage it looked a formality for Shipston to win, but Paul Dipple and Tim Jackson had other ideas as they kept the attacking intent going with a mixture of solid defence to push the score up. Dipple hit eight fours and Jackson two enormous sixes to get Alcester firing with 51 in nine overs before Dipple was caught in the covers for 31. Jackson was joined by Wright and they kept the scoreboard going and looked in no trouble as they bought up the 150 in the 28th over, for the loss of seven wickets. Ragley needed 71 to win with 17 overs left, but Jackson was bowled for a spirited 36 and with it went home hopes as they succumbed to 161 all out in the 31st over. Ragley visit bottom side Catherine-de-Barnes on Saturday.